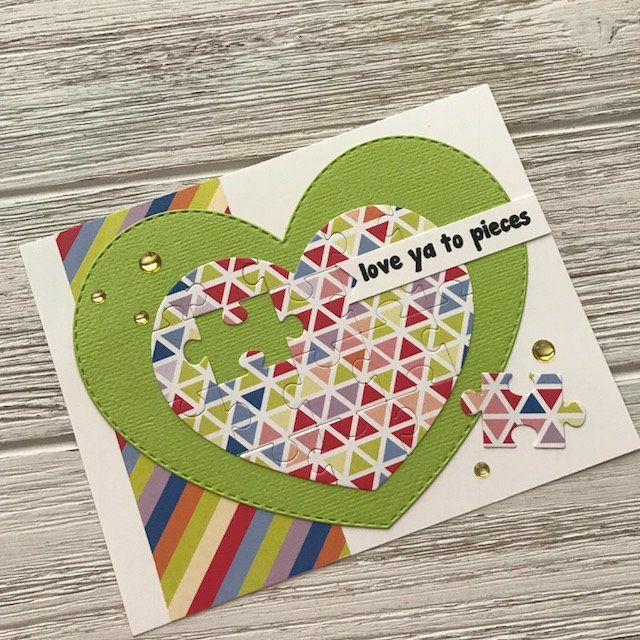 This is a fun and unique die that cuts a puzzle in a heart shape. 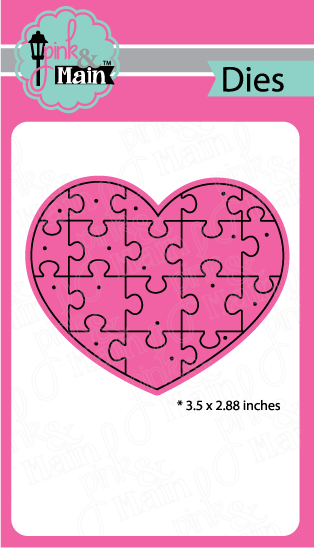 The heart puzzle measures about 3.5 x 2.88 inches. 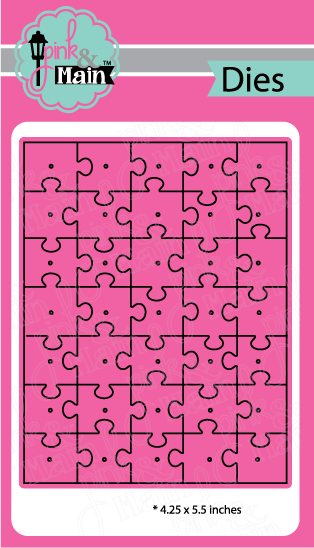 This die will work in most of the popular die cutting machines. 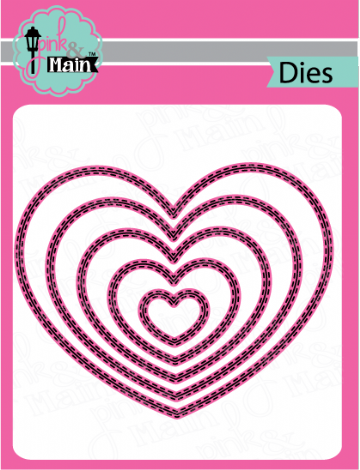 This is a stand alone die set that includes 3 hearts with an inner and outer stitched border. The dies cut the shapes shown and work with many of the popular die cutting machines such as the Big Shot and the Cuttlebug. This is a set of high quality steel-rule dies that coordinate with the To Pieces stamps. The dies cut the shapes shown and work with many of the popular die cutting machines such as the Big Shot and the Cuttlebug.